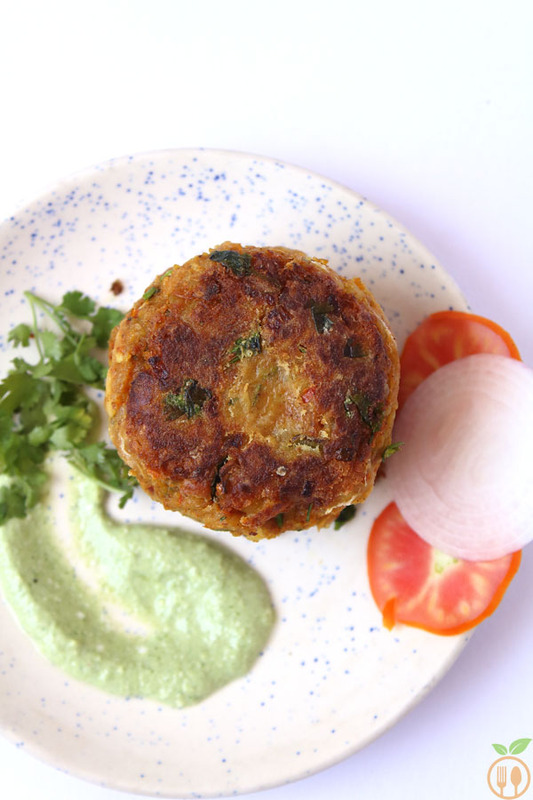 and you will get crispy outside, soft inside patty with minty yogurt or just with tomato ketchup… Don’t forget about some crunchy salad with it! Isn’t it that as simple as making ordinary dinner menu in your kitchen? 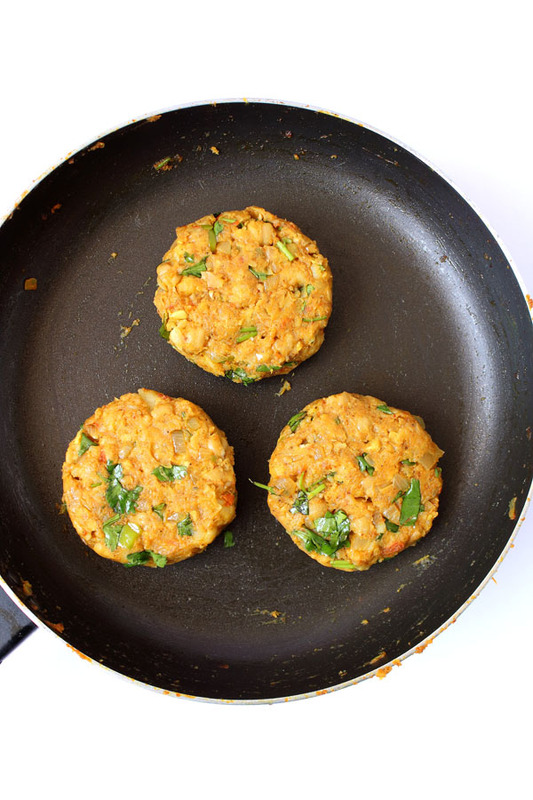 Just give little more effort to make patties and you will definitely nailed your demand of “something new in dinner.” Doesn’t it seems to be an easy chickpea patties recipe? My Chickpea Patties recipe was created accidentally. 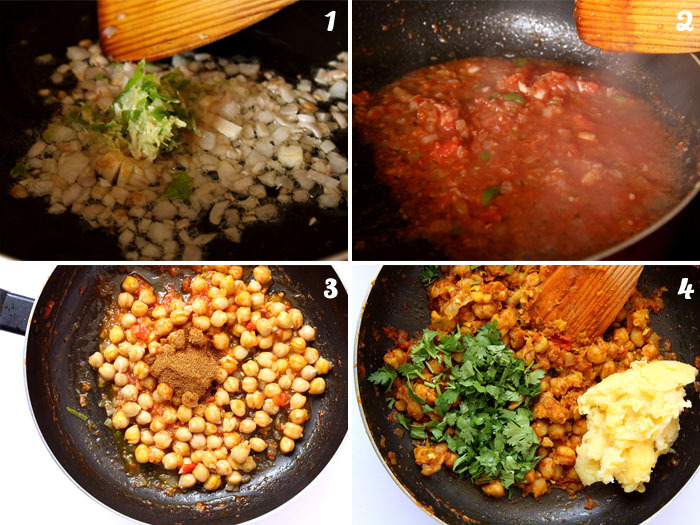 I soaked the chickpea one day and my plan was making chickpea curry with traditional chole masala powder. But it was not my lucky day! When he is in kitchen, I am more confident about trying something new. He is my lucky charm!!! I said let’s try patties from this. And I boiled the potatoes, mix with curry and bind the patties with some corn flour. And shallow fried the patties. He tasted and as usual he loved it. 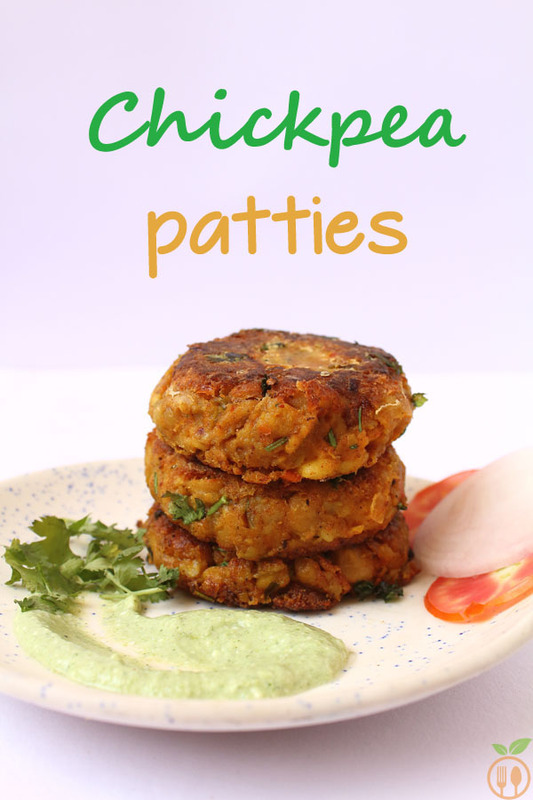 So, I must say that, if you have leftover chickpea curry, then this will also work… you can make wraps with this patties a very next day into lunch also. 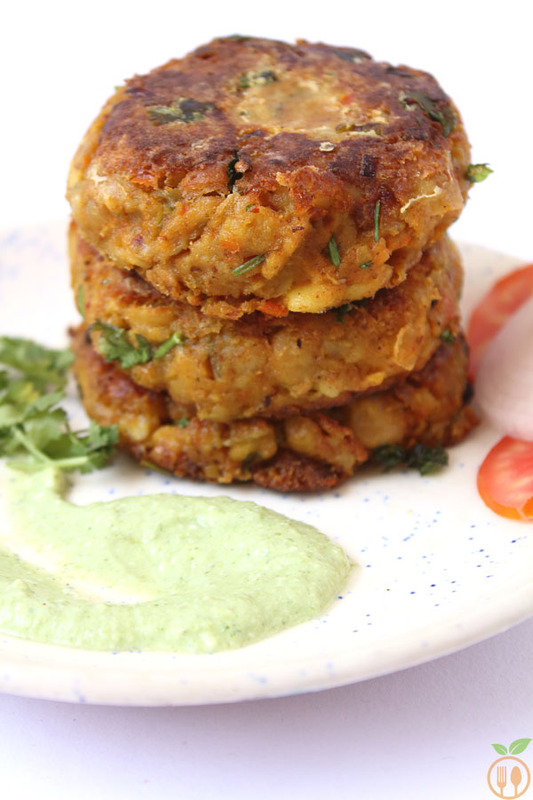 Kids will also love these chickpea patties into their lunch-box. Boil the chickpea and drain all water from it, then use then into recipe. You must avoid the saucy consistency in making chickpea curry otherwise binding it with boiled potatoes is near to impossible. 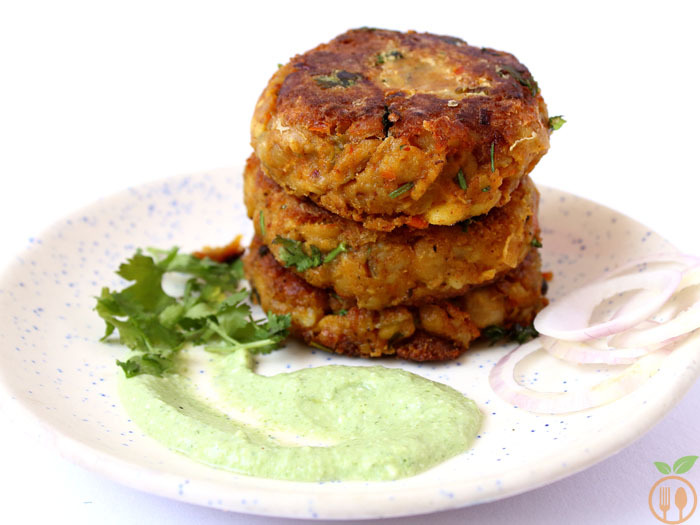 You can add some corn flour into patties mixture if you cannot give shape to chickpea patty mixture. You need to boil the chickpea for 15 minutes. Or in pressure cooker, take chickpea and water and cook till 4-5 whistles. In skillet, heat the oil, add minced garlic and sauté for half minutes. Then add chopped onion and give it a nice stir. Cook it for just half minute. Then add ginger and chili paste, and cook until onion translucent. Then add tomato puree and cover the skillet with lid and cook for 2 minutes. Then add boiled chickpea, salt and chole masala powder. Cool till you get aroma of all spices of masala powder. And switch of the flame. Then add mashed potatoes and lots of cilantro or coriander into it. And mix it well. Now make a patties shape or any shape you may like. 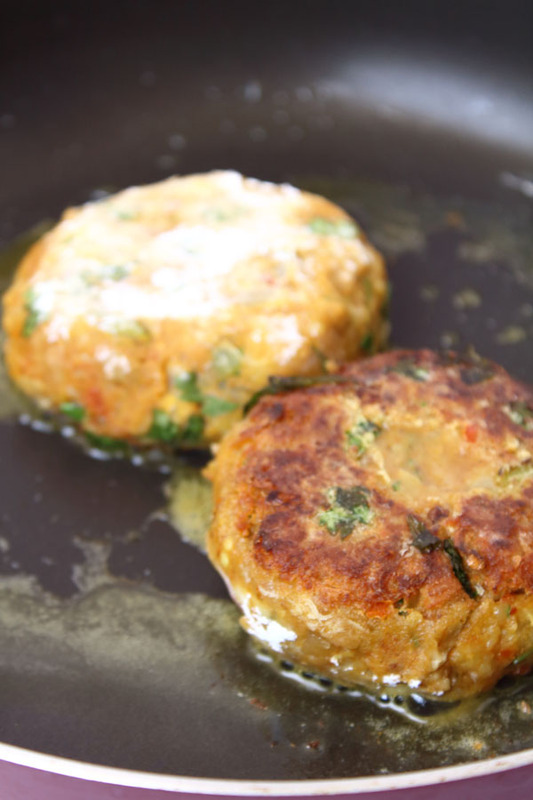 Coat the patties with corn flour. In a same skillet add the oil and shallow fry the patties till it get golden brown color from both the sides. You can serve it with some fresh salad and green chutney or tomato ketchup. Its perfect snack to relish with a cup of tea..